President Barack Obama paid an emotional tribute to his personal hero Nelson Mandela tonight, saying he could not imagine life without the former South African President. 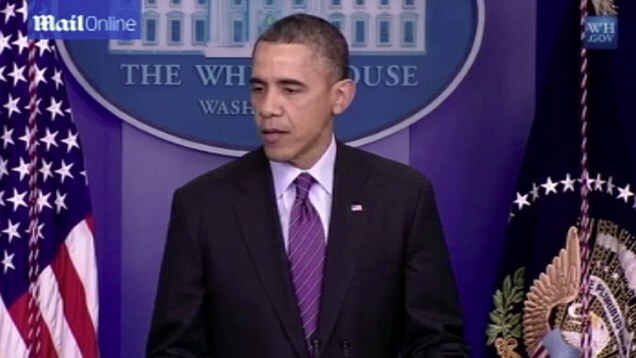 Speaking shortly after the death of the civil rights leader was announced, Mr Obama said now is the time for people to pause and honor the fact ‘that Nelson Mandela lived. 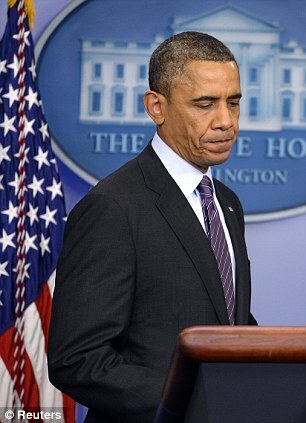 ‘He no longer belongs to us – he belongs to the ages,’ Mr Obama said from the White House briefing room. 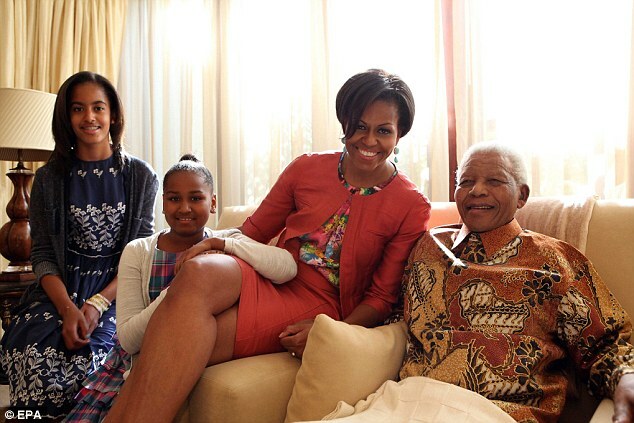 ‘He achieved more than could be expected for any man and today he’s gone home.’ Mr Obama visited South Africa in June and met with the former president’s family but did not personally meet with the ailing leader because his health was so poor at the time. 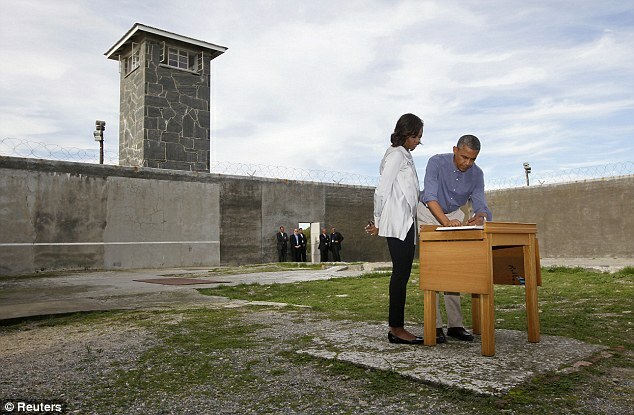 Mr Obama previously had a personal meeting when he was just a senator. He said that the very first political action in his life, let alone his career, was his participation in an anti-apartheid rally held in Mandela’s honor. 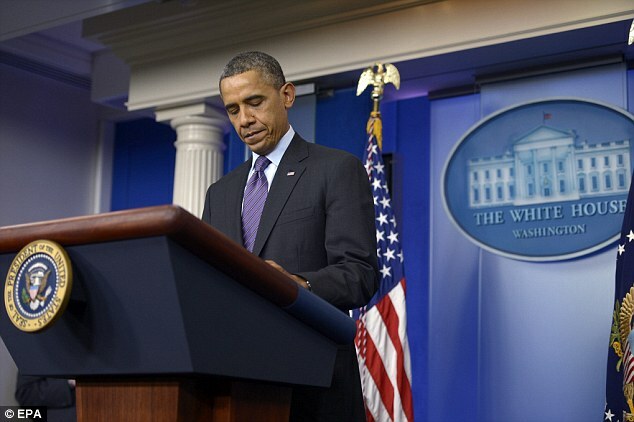 ‘We will not likely see the likes of Nelson Mandela again, so it falls to us’ to live by his example and ‘make decisions not by hate but by love,’ Mr Obama said in the press conference. 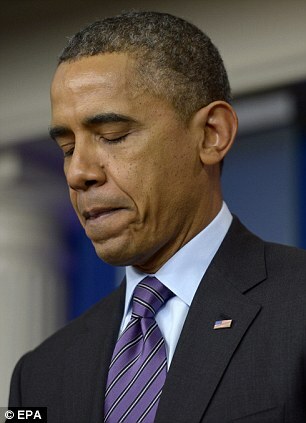 He said that the thoughts and prayers of the first family and the American people were with Mr Mandela’s family. ‘His life’s work meant long days away from those who loved him most,’ saying that he hoped they were able to value the last few months together. According to the White House, Mr Obama is expected to fly to Africa tonight to attend Mandela’s state funeral along with other world leaders. 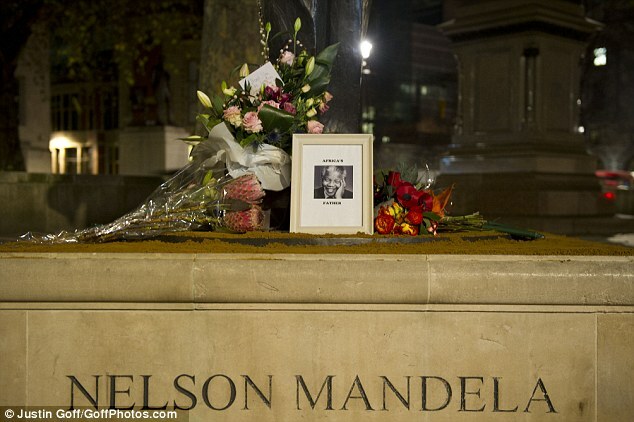 Mandela died after his health took a turn earlier this summer. He was 95 years old. Former South African president F.W. de Klerk, who was the last white president of the country before Mandela came to power, had nothing but praise for the ‘father’ of the country. ‘There was an immediate I would say a spark between the two of us. ‘I always respected him and I always liked him as a person he was a magnanimous person, he was a compassionate person. Mandela’s South African comrade Desmond Tutu, the first black Archbishop of Cape Town, wrote an article on his friend’s passing, saying that the world was a better place because of Mandela. 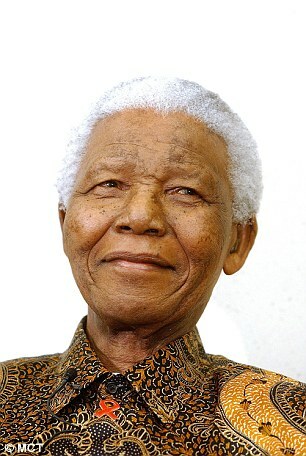 ‘He was not only an amazing gift to humankind, he made South Africans and Africans feel good about being who we are. He made us walk tall,’ Mr Tutu said. Echoing Mr Obama’s speech, all of the living U.S. presidents made statements of their own about Mandela. ‘Today the world has lost one of its most important leaders and one of the finest human beings,’ who was ‘a champion for human dignity’. Mr Mandela came to America to attend President Clinton’s inauguration in 1994 and Mr Clinton visited the ailing leader earlier this year. Madeline Albright, Clinton’s secretary of state, issued a statement of her own saying Mandela ‘taught us all that forgiveness is stronger than hate. The best way to honor his passing is to follow his example’. 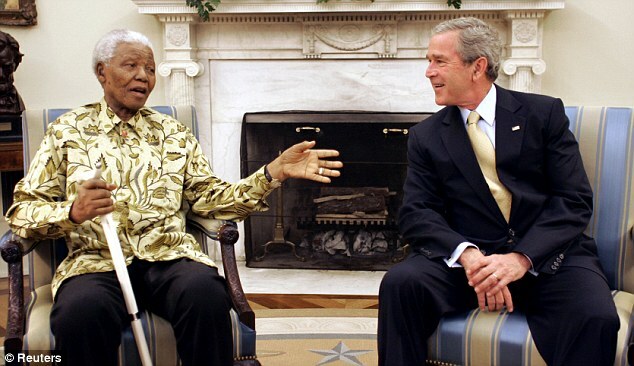 Both Bush presidents reacted to the death of the African leader. 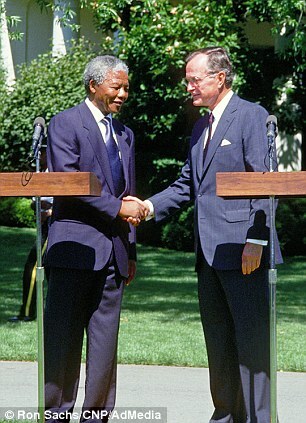 His father, George H W Bush, called Mandela ‘one of the greatest believers in freedom’. 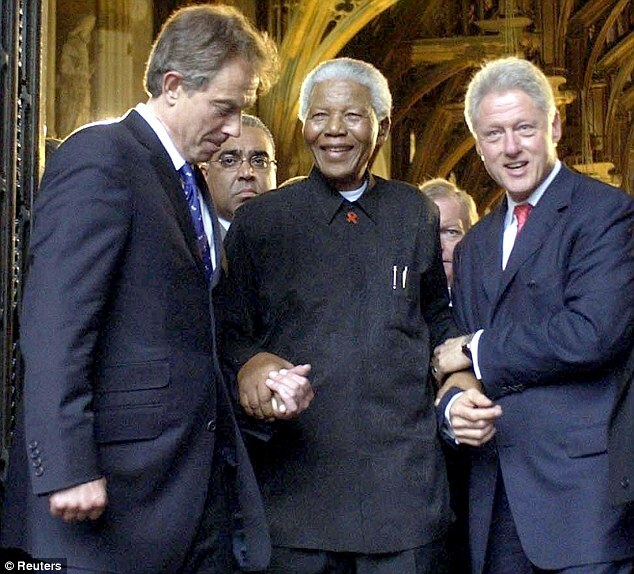 ‘As president, I watched in wonder as Nelson Mandela had the remarkable capacity to forgive his jailers following 26 years of wrongful imprisonment – setting a powerful example of redemption and grace for us all. He was a man of tremendous moral courage, who changed the course of history in his country,’ Mr Bush said. 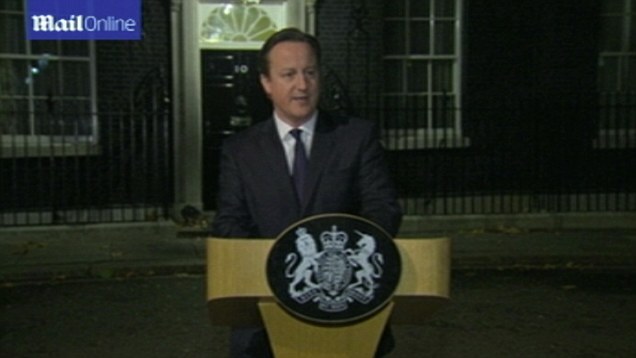 British Prime Minister David Cameron tweeted that the flag at No 10 Downing Street would be flown at half-mast. 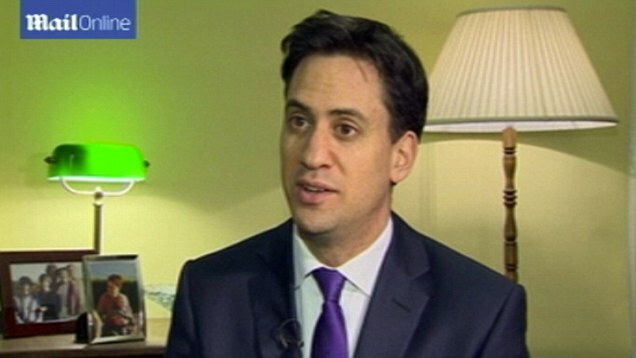 Ed Miliband also released a statement, drawing on their political connections. ‘During the struggle against apartheid, the Labour party was proud to stand with the people of South Africa in solidarity. 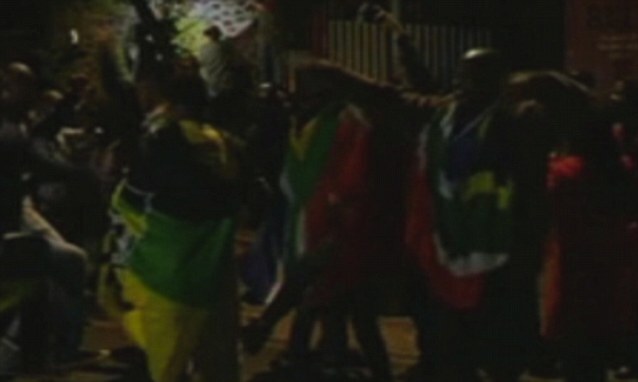 Today we stand with the people of South Africa in mourning,’ he said in his statement. Former Prime Minister Tony Blair told how they forged a special bond during his first years leading Britain, saying how he treasures the memory of the first time they talked in 1997. UN Secretary General Ban-Ki Moon tweeted that he would never forget Mandela’s ‘selflessness and deep sense of shared purpose’. 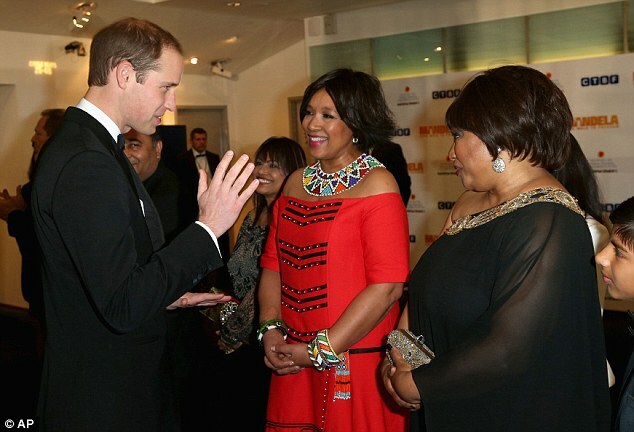 The timing of the legendary leader’s death was particularly poignant for Prince William and Duchess Catherine as they were at the London premiere of the new Mandela film alongside two of Madiba’s daughters. After the movie let out, the Prince released a brief statement saying that the film refreshed their memory of how important his work in South Africa was. 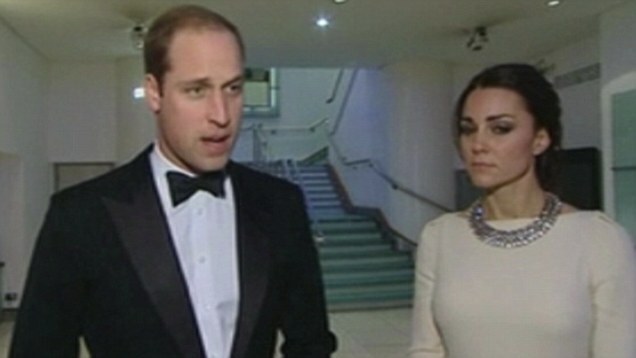 ‘I just wanted to say it’s extremely sad and tragic news,’ Prince William said after leaving the Leicester Square cinema. 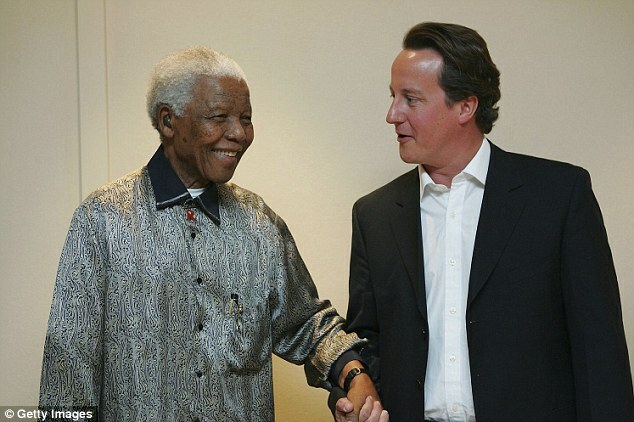 ‘We were just reminded what an extraordinary and inspiring man Nelson Mandela was. My thoughts and prayers are with him and his family. It’s very sad. Mandela’s loss was felt outside the world of politics as well with celebrities like Muhammad Ali and Bill Gates paying tribute to the African leader. 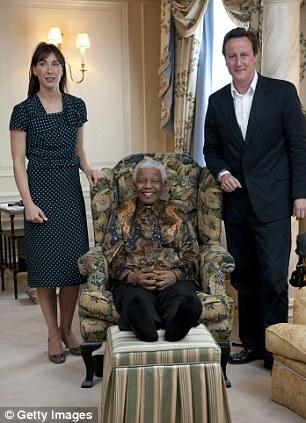 ‘Every time Melinda and I met Nelson Mandela, we left more inspired than ever. His grace and courage changed the world….’ Gates said. 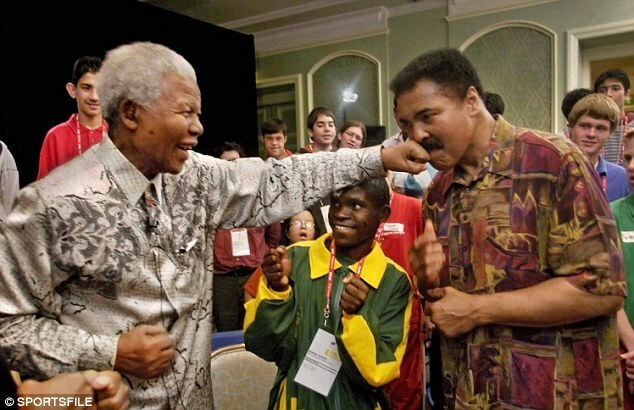 Muhammad Ali, a champion for civil rights himself, said he was ‘deeply saddened’ to hear about Madiba’s passing. 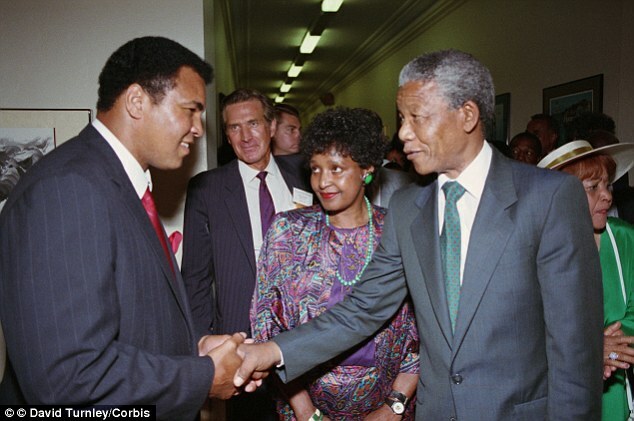 Ali met with Mandela on several occasions, and the South African leader never shied away from pretending to punch the legendary boxer for a good photo. 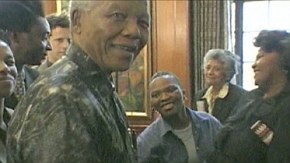 Fellow champion boxer Mike Tyson tweeted about Mandela’s passing while on a trip to Africa, saying Mandela was the ’embodiment of discipline, courage, love and forgiveness’.